Photography is about telling a story and painting a picture of those special moments in your life so you can relive them every single day. These memories are what matter most. At Rule of Thirds Photography, in north Brisbane, I know a picture tells a thousand words and those special, funny, emotional and happy times mean the world to me. This is my reason for being, what I live for and why your photographs mean so much to me. Pregnancy is such a beautiful time in your life. It is my job to catch those moments, the fleeting feelings and emotions you may not remember when your bundle of love comes into the world. It’s your job to look back on those images to feel nostalgic, proud and in love. Maternity sessions are best taken from 34-37 weeks and can be created in my gorgeous studios or on location. I offer mini sessions or a family maternity to include partners and siblings. 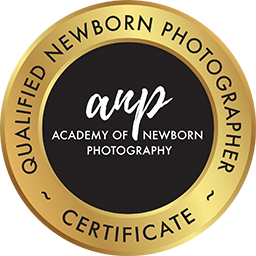 As a mum, it’s important you are comfortable so I will work in with you to create beautiful images of your beautiful baby bump! Newborn baby photos are such a delight to take because it’s all about the finer details of these little people; their hands, feet, sleepy face and curled up poses. They grow so fast. The best age for newborn photos is between 5 and 14 days, but, of course, as parents of a newborn, I completely understand things happen and sometimes this time frame isn’t realistic. I know baby rules the day! Your comfort as new parents and your baby’s safety is my priority and I will always welcome you to my studio. I also offer in-home newborn sessions for a lifestyle-type shoot. Baby cuddles are one of my most favourite things so you can sit back and watch me work … or you can catch up on some sleep! Safety is my number one priority & I have spent countless hours training to handle your precious baby. I am also fully immunised. Life moves and children grow up. A beautiful session with your children captures them in time and allows you all to remember those precious “growing up” moments long after they have flown the coup. A parent can never have too many pictures of their children, right?! Professional photographs of your children can be taken in my lovely studios or on location. Photographs are only limited by your imagination and they can be styled or natural, with or without props. Photographing children is my passion. Families come in all shapes and sizes and family portraits show yours as they grow and change. Some families have a family photo taken every year, others at every important milestones; with or without family pets, extended family members and other additions. It's so important to be present in your family photos, not just for yourself but your children and future generations to look back on. Family photography sessions are about making memories and leaving a legacy for your children. Sessions can be taken at your own home or on location. Tell me your family story and together we can create some beautiful memories for you to enjoy now and in years to come. Could there be anything more fun than a cake smash for your baby’s first birthday? But it doesn’t have to end there. Cake smash celebrations can actually be captured at any age. You could even make it a family tradition. The best thing is that no two cake-smashing sessions will ever be the same. They will be unique to you and your family – and the messier the better! My cake-smashing sessions come with professionally baked and decorated cakes in a theme and colour of your choice. I can take these pictures in my studio, outside or on location. Get ready for some fun! It doesn't have to be cake!! We can do donuts, fruit, pancakes, spaghetti....whatever you like! Think running away to the circus, becoming queen for a day, going back in time or being a model … these photography sessions are fun and fancy. My styled sessions usually have a theme and are often purchased for special occasions – but you can have a “special occasion” any day of the week! We have Away with the Circus sessions with the Rule of Thirds circus van, The Duchess session with your very own full-size carousel horse, the Very Vintage style session with props, and my "Beautiful You" sessions with hair and makeup available. These sessions can be in studio or out depending on your needs. To preserve your special moments in time, book a session with me today by calling 0422 458 401, emailing ruleofthirdsphotography@yahoo.com.au or heading over to the Contact page. Kind words: Absolutely amazing! You are very thoughtful, kind, caring and understanding. Kelley will be our family photographer from now until forever! Read more kind words.